In March 2013, I engaged in the most ambitious VGMania marathon to date. Just a few months into it, especially after reviewing so many horrible games in a row, I came to the conclusion that I had bitten more than I could chew, and just a few months back from this moment, I thought I'd never reach the end. However, I came through, and the Marvel marathon has finally come to an end, opening up a whole array of new options for me. If there's one thing I've decided during this 18-month long trip, it's that I'm never going to take on another one again. Marathons are good, but the line must be drawn somewhere. It's not just Marvel, not just dozens of bad games in a row - I could've done 60 good Mario games in a row and it still wouldn't serve my purposes. So, even if a few marathons are coming in the very near future, the line is drawn at about 30 games per round. 30 is good; remember the Disney marathon? It had about 30 games and I was done with it in a month. I had way more spare time back then, though. No matter how much it tired me out and no matter how much of it was absolutely horrible - The Uncanny X-Men and Iron Man / X-O Manowar in Heavy Metal as the worst examples (I just had to fit in the latter's title again) - the whole Marvel thing was a positive experience for me, especially those few times when I stumbled onto an honestly good game, not to mention some game that was totally new to me, most of which were Spider-Man games. So, I hit at least one of the main goals I have whenever I take such long trips: finding something good and new, which I probably wouldn't play if there wasn't some higher cause to it. So, after all the self-doubt and violent bashing of my own work, I'm proud of what I've done. Before going to the long-anticipated summary of the whole thing, I'm announcing a week or two of total randomness when it comes to the reviews - it's a welcome change for sure - and starting on October 1st at the earliest, I'm starting work on this year's Monster Mash. It's my favourite recurring feature of the year and now that I'm done with this exhausting marathon, I believe it's going to result in some really good reviews. Not really sure about how good all the games are going to be, but I'm already sensing a spike in enthusiasm anyway. I have lined up about 10-11 games from all console generations; some are there to tie up some loose ends, some are totally new to me (but games I've wanted to play for quite a while), some are old favourites which I've wanted to review for ages, and then there's the brand new game mentioned earlier to serve as the climax. I hope I'll be done by or on Halloween (ON Halloween would be quite epic), but if I'm not, the Monster Mash is over when it's over. So, no embarrassing breaks like last year. On to the Marvel summary. I've reviewed a total of 60 Marvel Comics-related games between March 24th, 2013, and today. 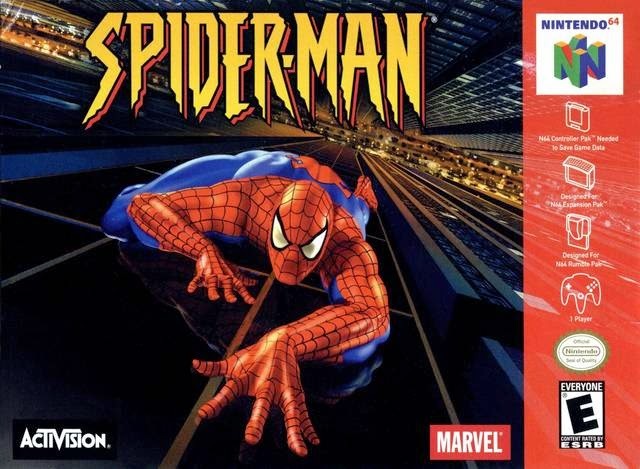 First, I'd like to note that the original list actually included 65 games; there were two cases in which I felt I was the absolutely wrong person to review the game, and two which simply were too old to review with any glint of respect, and finally one DOS game which I couldn't get working on neither one of my computers under any circumstances. I can assure you that the average of the marathon wouldn't gone up one hint with any of these games. 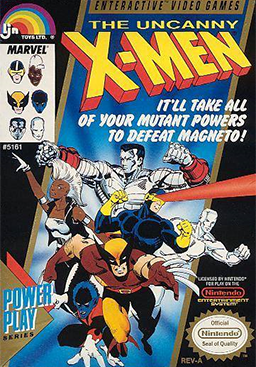 There were nearly as much X-Men games on the plate as Spider-Man games, but only one to reach and surpass a conclusive rating of 8. Enough jabbering, here is the whole list of games, in order of the main protagonists and the year of their first appearance in Marvel Comics.